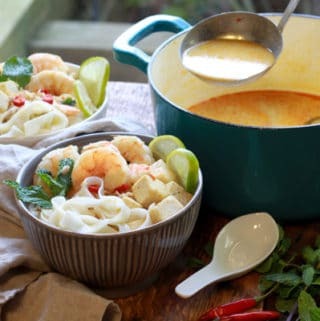 The crunch on those shrimps looks so perfect! 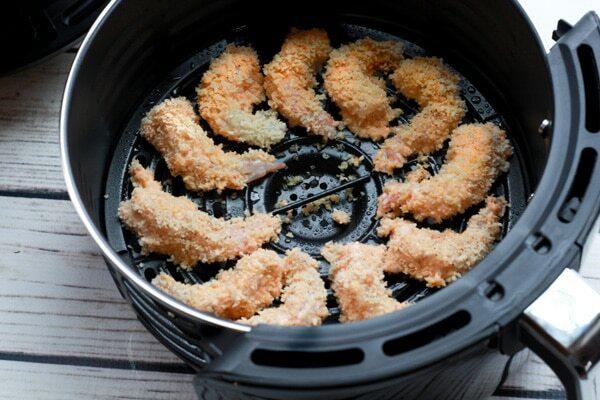 I like the idea of an air fryer but just dread yet another device in my kitchen. 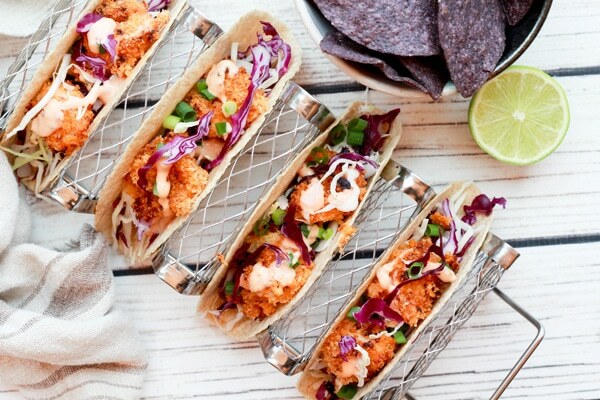 This is a beautiful use of it though and those tacos are sheer picture perfection. Kari, I debated for a long time about getting an air fryer because I simply don’t have any more cabinet space! But I’m so glad I did. Ended up putting it out in the garage, still easy to get my hands on! You will love the decision! 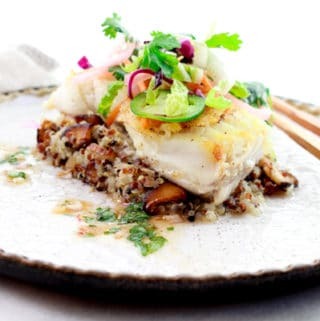 I’m in love with my Air fryer and found another delicious recipe to try with it. 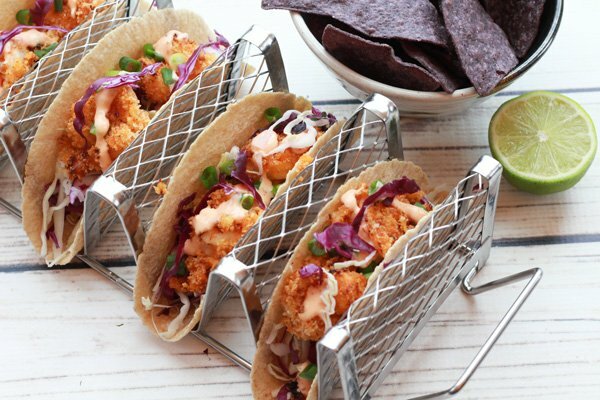 These air fried shrimp tacos looks to die for. I’m kind of obsessed with my air fryer now! These shrimp came out crispy and so delicious! Would NEVER know they had zero oil! 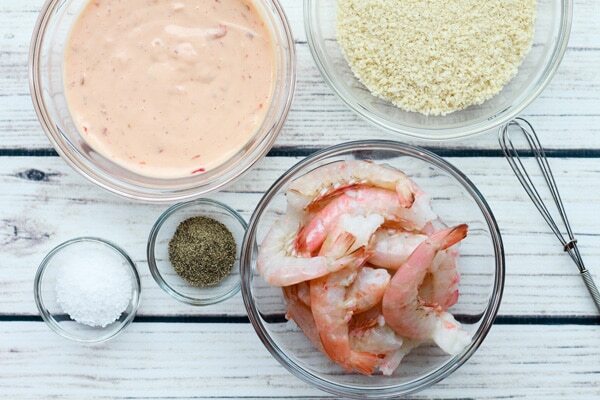 If there is a perfect way to serve shrimp, it would be this. 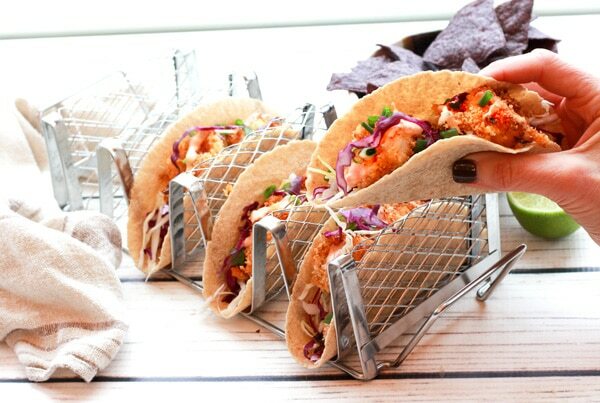 What a delicious way to make tacos! 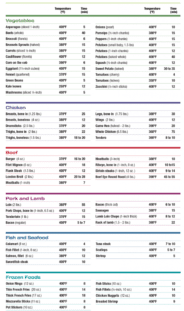 I would definitely order a lot of them or, in this case, prepare plenty for the dinner! 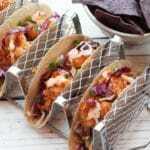 These tacos are so easy to prepare! 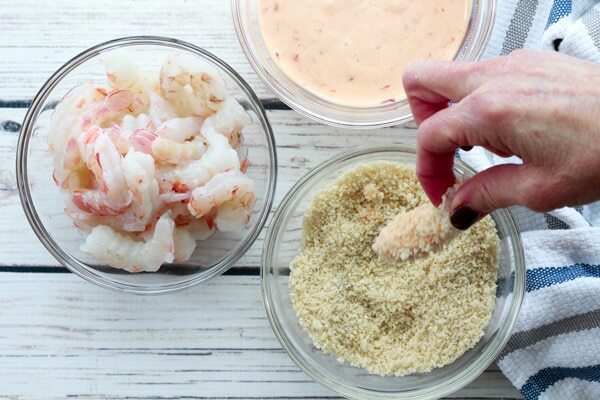 Your family will love the crispy shrimp and awesome bang bang sauce! I don’t know about others but it sounds magnificent to me! 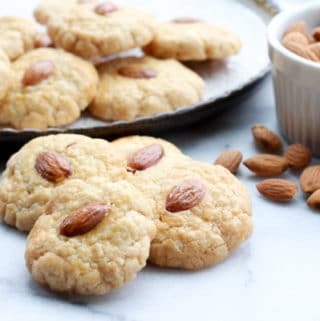 I can only imagine that crunch, that feel and that taste – such a fantastic party recipe! Thank you, April! The crunch is amazing! I love that these bang bang shrimp have zero oil! 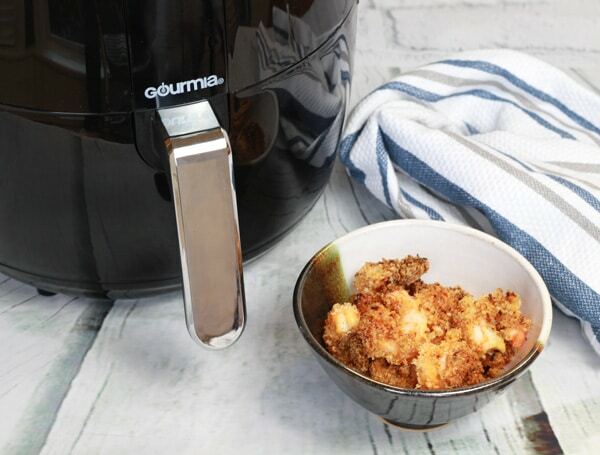 We just got an air fryer, too! 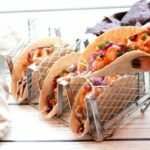 My kids love shrimp and tacos, but never had them together. They’ll go crazy for these! Yes! 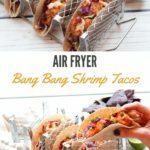 They are fun to eat too, and a healthier version of the traditional bang bang shrimp taco!